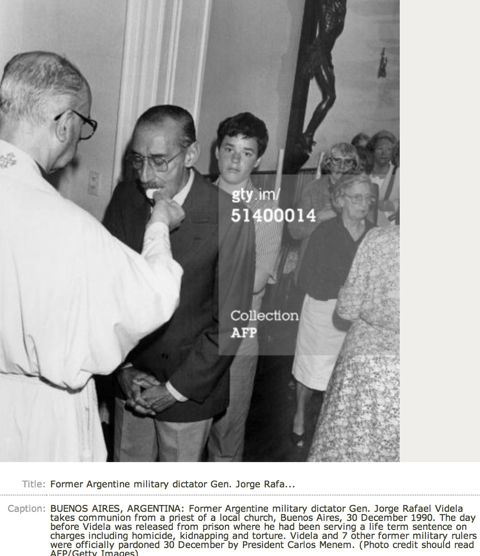 Three photos that were reported to prove that the new pope had ties to Argentinean dictator Jorge Videla. Did Pope Francis play a major role in Argentina’s Dirty War? Reporters claim they can substantiate this allegation. 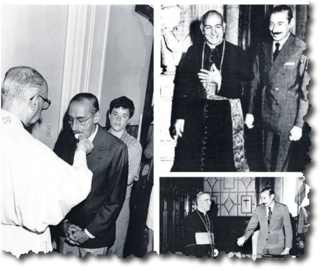 They published photos of dictator Jorge Videla with a cardinal, allegedly Jorge Bergoglio, the recently elected Pope Francis. But something was wrong with these findings. Fact-checking social media starts with numbers. How many people retweeted something?" Blogs came up with similar stories. 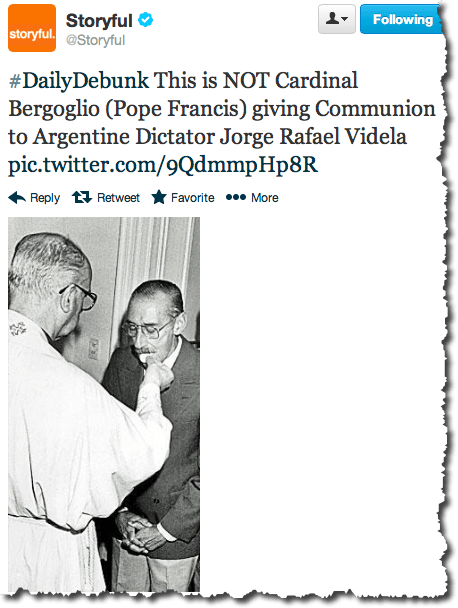 Documentary maker Michael Moore forwarded a link to a photo of Videla with a cardinal — allegedly, the new pope. 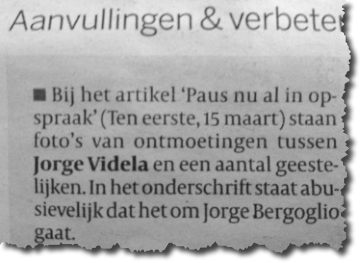 For some newspapers, like the Dutch Volkskrant, these tweets were sufficient to break the story. 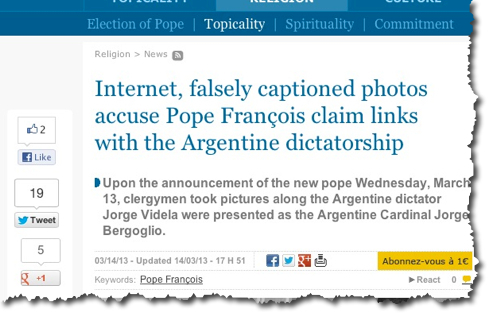 “Pope sparks controversy,” the newspaper wrote. In the end, everybody had to correct their stories. Moore withdrew his tweet, The Guardian corrected the 2-year-old article in which Bergoglio was mentioned, and Volkskrant apologized for using the wrong photos. The story came from the “Comment is free” section, the opinion corner of the newspaper. It wasn’t a factual story that was tweeted, but an opinion. But fact checking social media starts with numbers. How many people retweeted something? From which countries? How many clicked on the link? To make an educated guess, you need tools. You see it is quoted 23 times, but that is the latest results. Search for March 13, 2013 and March 14, 2013. If you click on “More Tweets” you can access an archive of 5,840 tweets. She deleted the tweet, but with Backtweet you can still find it. 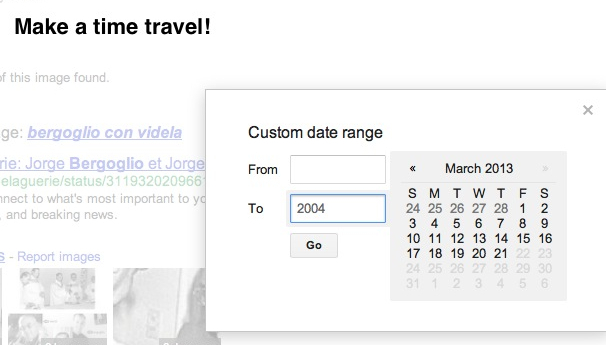 If you type the plus sign behind any bit.ly link, you will get link statistics+. <a href="https://twitter.com/mattseaton">mattseaton</a> annamasera Please fact check,Verbitsky was friend of Kirchners , accusations against Pope seem to be retaliation..
Blogs broke the news, like Consortium News. The writer is Robert Perry, who has a serious problem “with millions of Americans brainwashed by the waves of disinformation.” His site wants to fight distortions of Fox News and “the hordes of other right-wing media outlets.” The blog constitutes mostly activism rather than journalism. 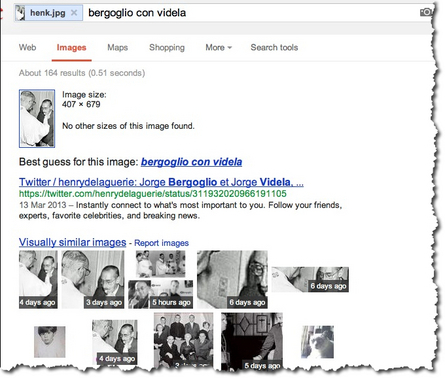 Google now presents a list of most popular search words in conjunction with the image. 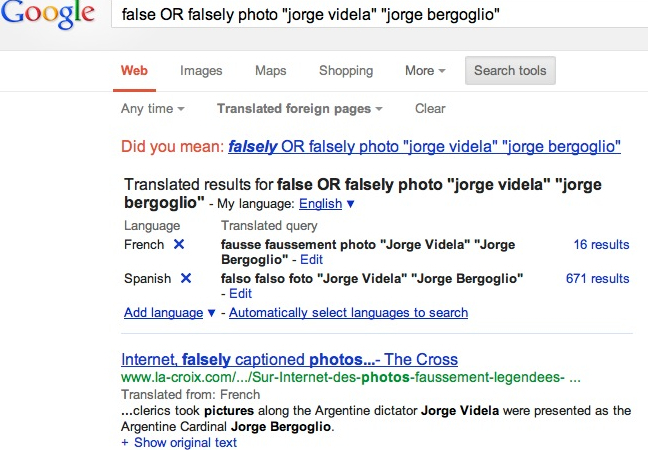 When I tried this on the exact day the pope was presented, the words were different: “corruption,” “Argentina” and “church.” This indicated the person who found the image probably typed these words in Google to find the particular image that later sparked so much controversy. 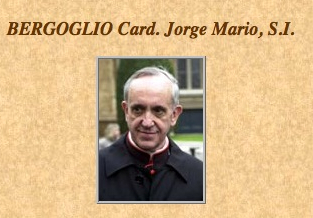 It says he was a spiritual director in Córdoba, 400 miles away from Buenos Aires. Sure, they have buses and trains and plains in Argentina, but still. Another tip now: Always think “video” when you see a picture. Just type some words from the event in Google’s search engine. 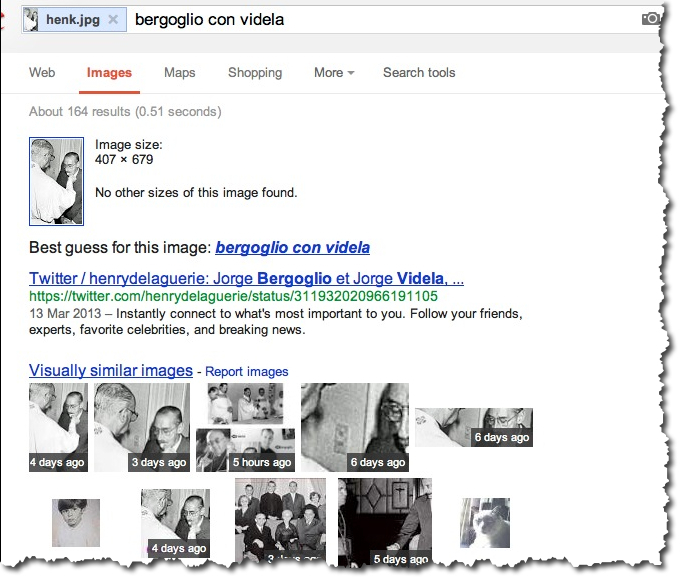 This will lead to a YouTube video of the same event as captured on the Getty photo. Now you see both people from the Getty image moving. This doesn’t make sense. Pope Francis was born December 17, 1936. Videla was born August 2, 1925. He is more than 10 years older. In the YouTube video, the ages don’t seem to match. 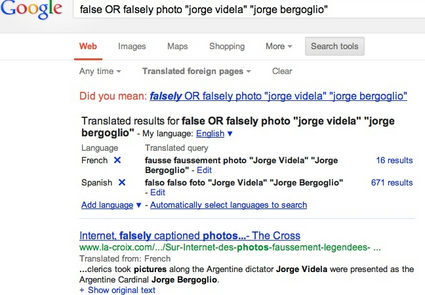 Don’t search in English, but go for Spanish and French. You can type the words in English, and Google translates the keywords and the hits are translated back into English. It’s also a good idea to send a tweet to Storyful — they even have a hashtag #dailydebunk. There you have it. 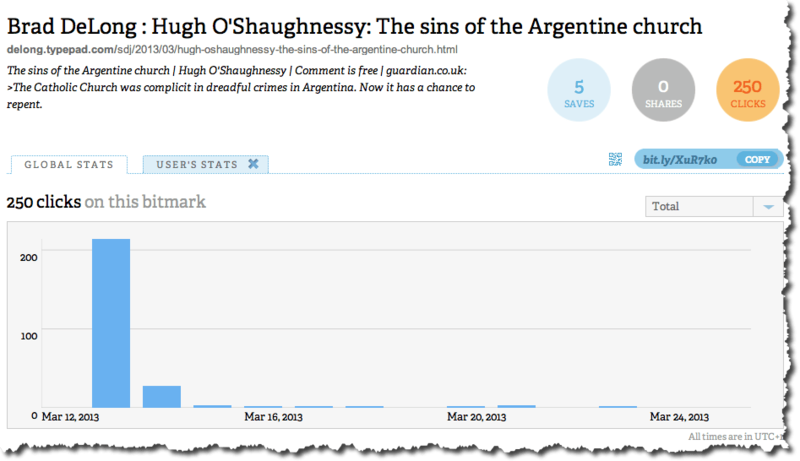 The Guardian amended its story from 2011 on March 14, 2013. By doing some background research, this could have been avoided. Had proper fact checking taken place, this story should not have been written in the first place. Dutch born Henk van Ess, currently chairs the VVOJ, the Association of Investigative Journalists for The Netherlands and Belgium. Van Ess teaches internet research & multimedia/cross media at universities and news media in Europe. He is founder of VVOJ Medialab and search engines, Inside Search, Cablesearch.org and Facing Facebook. His current projects include consultancy for news websites, fact checking of social media and internet research workshops.